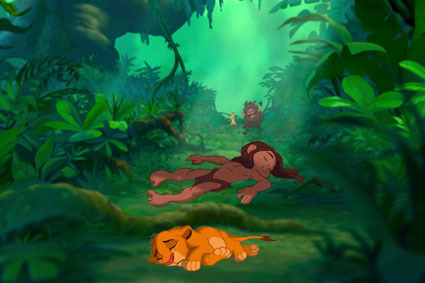 In the jungle Tarzan and Simba sleep (not) tonight. . Wallpaper and background images in the Chuyển thể của hãng Disney club tagged: disney crossover simba tarzan the lion king sleep jungle.